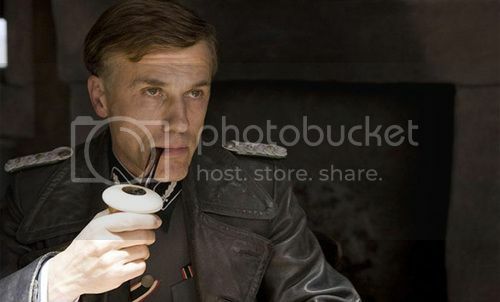 Col. Hans Landa: So you're "Aldo the Apache". 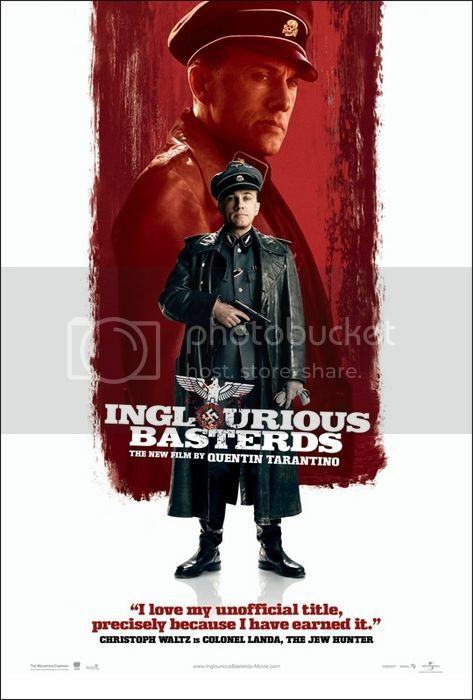 Col. Hans Landa: A detective. A damn good detective. Finding people is my specialty so naturally I work for the Nazis finding people, and yes some of them were Jews. But "Jew Hunter"? [reacts in disgust] It's just a name that stuck. The man is ruthless, yet charming. He kills without much hesitation. He speaks at least four languages with near perfect accents. Christoph Waltz plays him perfectly; I can't wait to see more of him in American cinema. After reading that, the first thing that popped into my head was Hans Landa saying, "Ooooh, that's a good one!" With a few umlauts sprinkled in, of course. Of course. 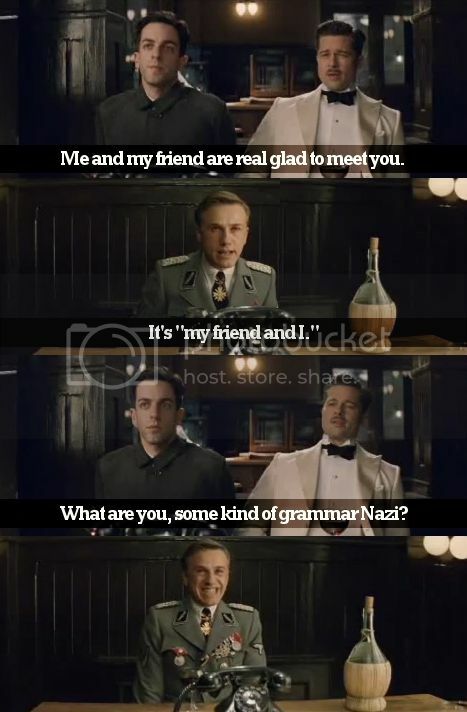 Hans Landa for the win. Oh my god. Laughing out loud over that last comic strip type thing. Miiiiight be making a scene at my desk. I did really like the film, and Hans was absolutely disturbing in his charming personality. Good thing to be obsessed with.